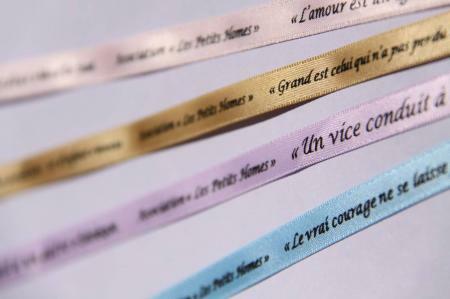 Satin ribbon customised with your colours and logos. 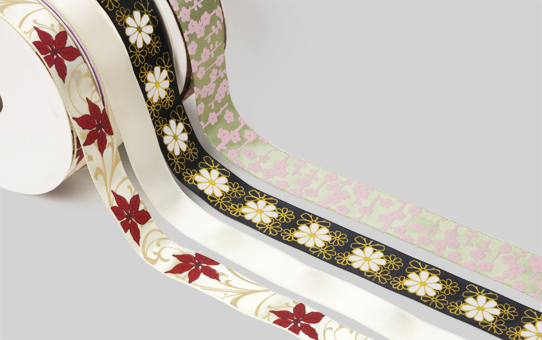 Strong woven ribbon with reinforced edges to prevent them from fraying. 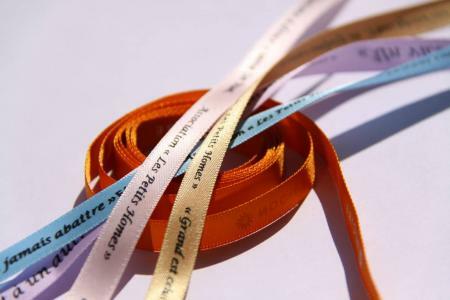 Your customised ribbon will be delivered in rolls of 50 or 100 metres. 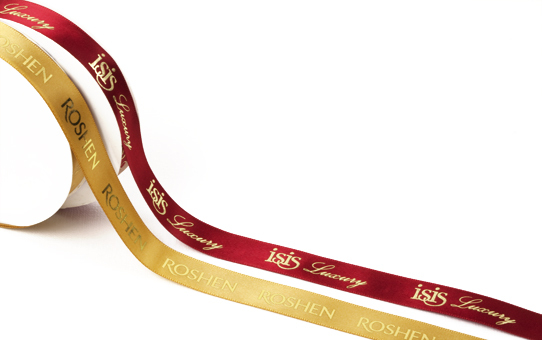 Ribbon can be custom-printed with your choice of 1, 2, 3 or more text colours and/or logo.